John A. Eilerman has a birthday today. New comment added. Michael J. Pendergast posted a message on John A. Eilerman's Profile. Happy 69 John-Boy! Say hello to Kitty for me. Daniel J. Bauer M.D. posted a message on John A. Eilerman's Profile. Happy birthday John. Many happy returns. Have a great day! 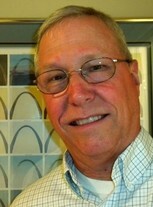 Denny Hoffmann posted a message on John A. Eilerman's Profile. John A. Eilerman has a birthday today. Daniel J. Bauer M.D. posted a message on John A. Eilerman's Profile. New comment added. Best wishes to you and Kitty!